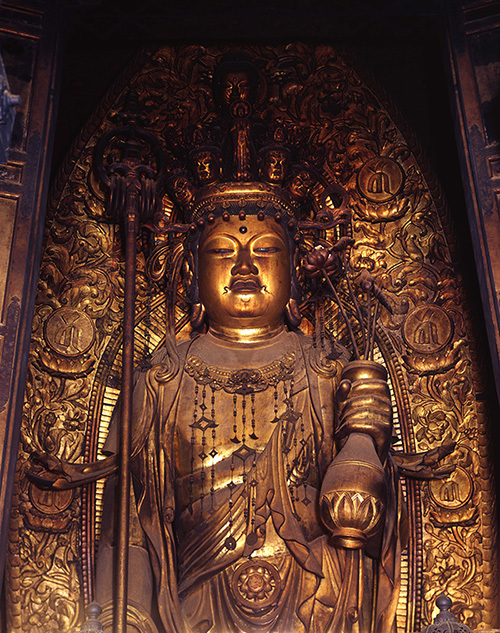 This gold Eleven-Faced Kannon Bosatsu has a compassionate face and ten faces on top of the head. 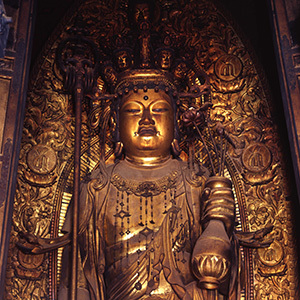 It is the largest wooden Kannon statue in Japan with a vase in the left hand and a staff and rosary in the right hand. 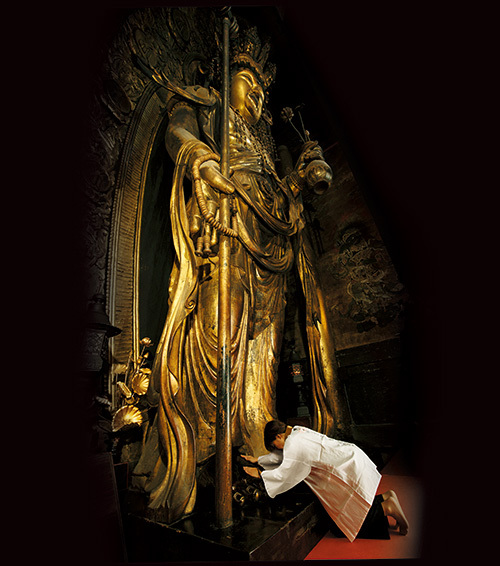 People have believed in the Buddha of Compassion who helps those in distress and brings tangible rewards in this life. 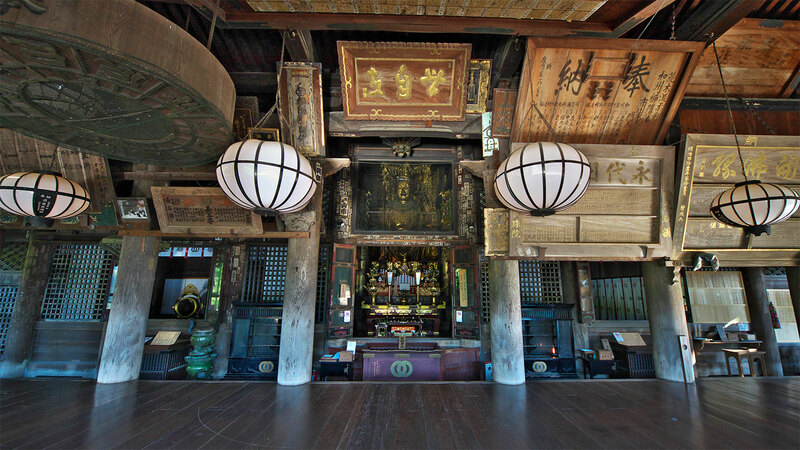 The giant statue enshrined in the main hall usually shows his upper half of his body. 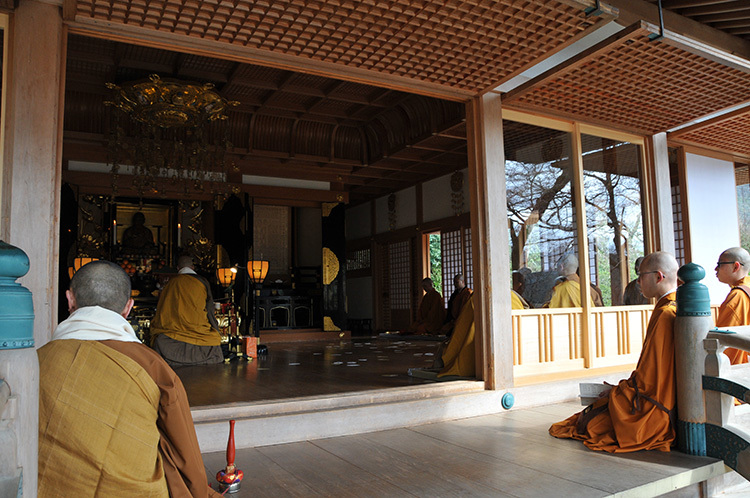 A special opening event is held twice a year, during which worshippers are able to go inside and gather close to the sacred feet of the Buddha. 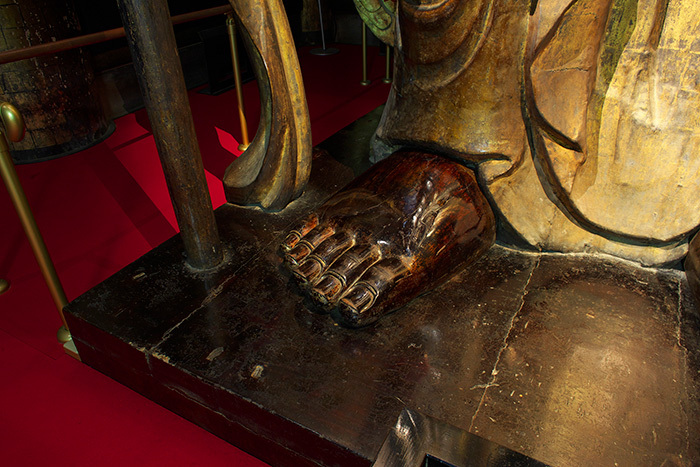 People have prayed for hundreds of years touching the sacred feet, which has caused the gold to vanish and turn into a shiny black. 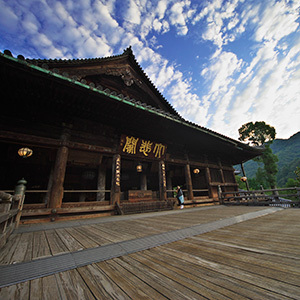 This magnificent building was designated as a National Treasure in 2004 and has a platform projecting out from the cliff and provides spectacular views. 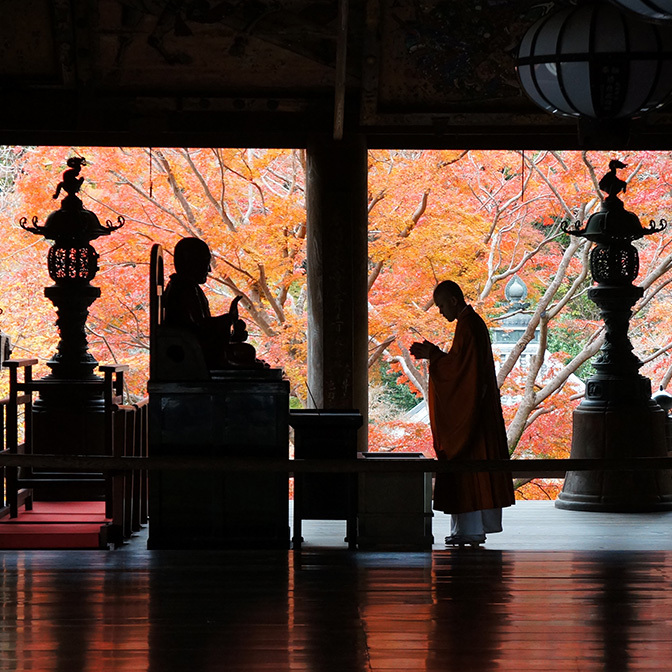 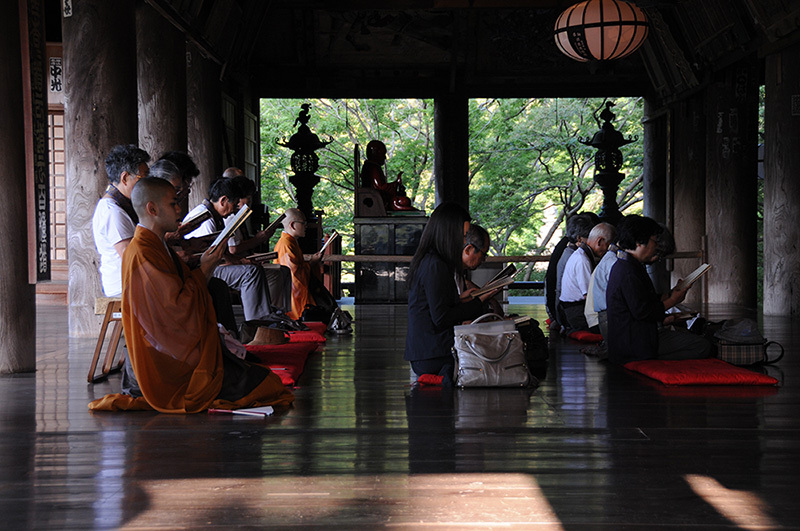 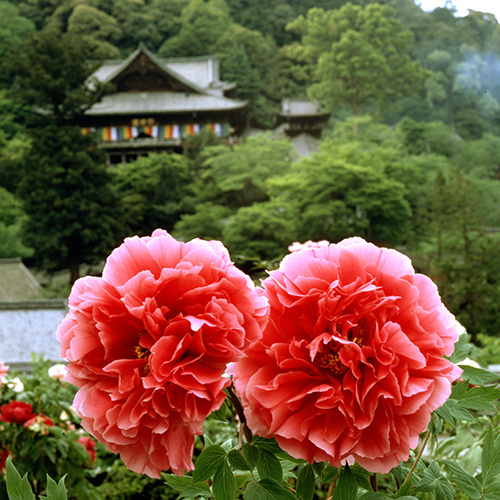 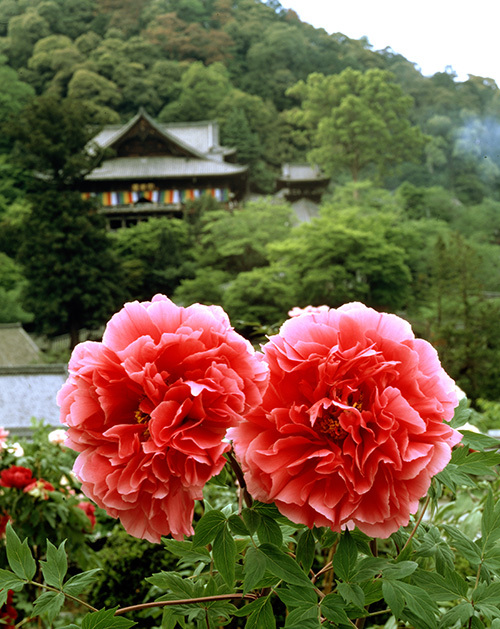 Hase temple is a monastery where young trainees learn religious studies practices, and train their sprits every day. 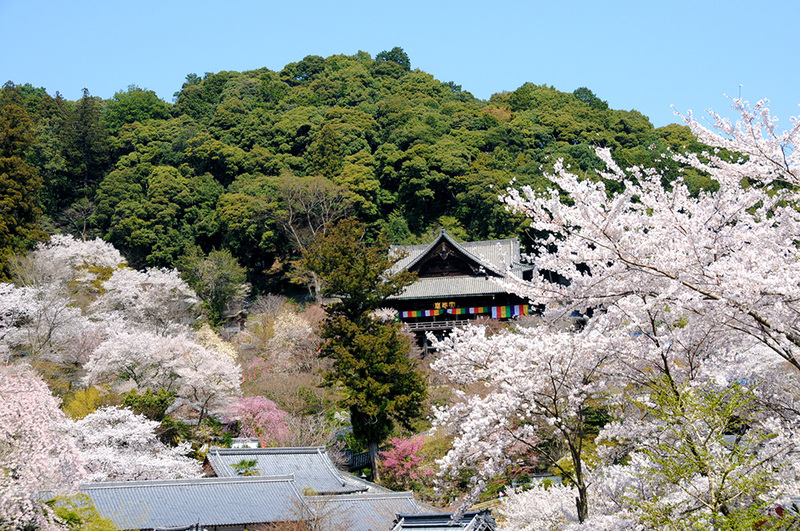 Noborirou or roofed stairs is situated on the steep slope from the Nio gate to the Main Hall. 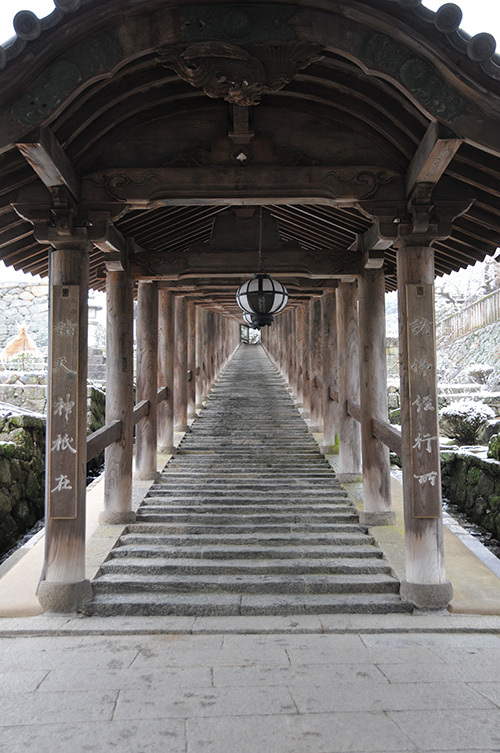 The elegant stairs have 399 stone steps and hanging oval-shaped lanterns on the ceiling. 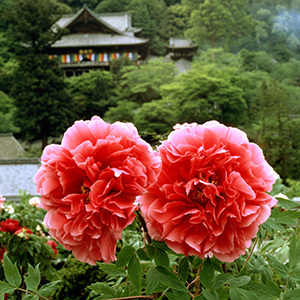 From late April to early May the stairs are surrounded with beautiful peonies. 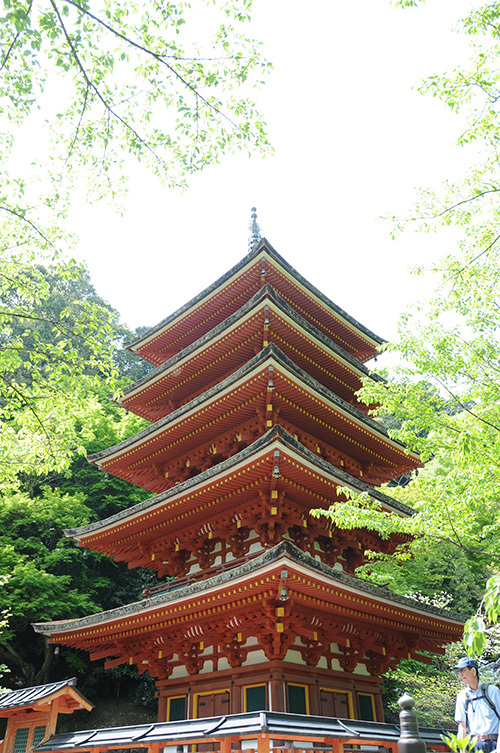 The five-storied pagoda, built in 1954, was the first pagoda constructed after World War II. 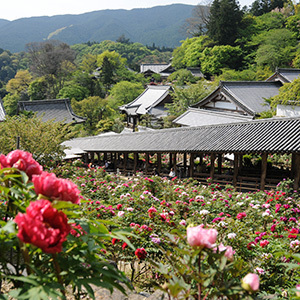 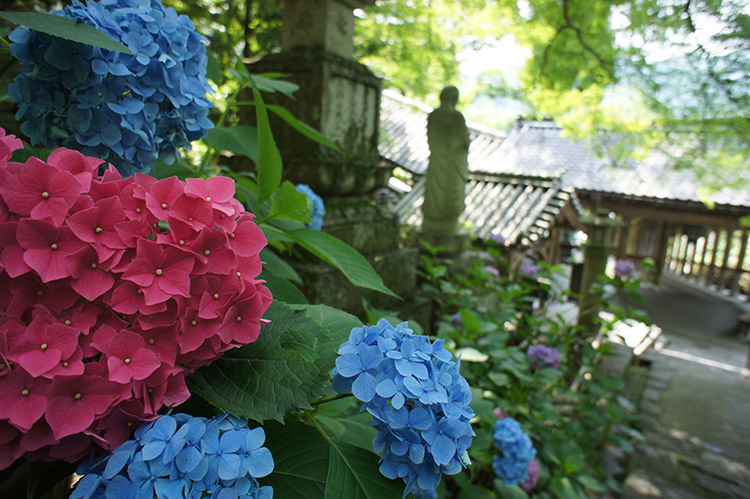 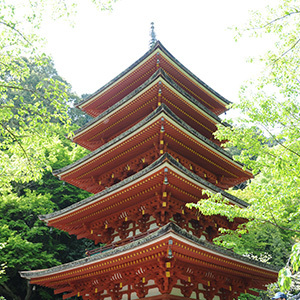 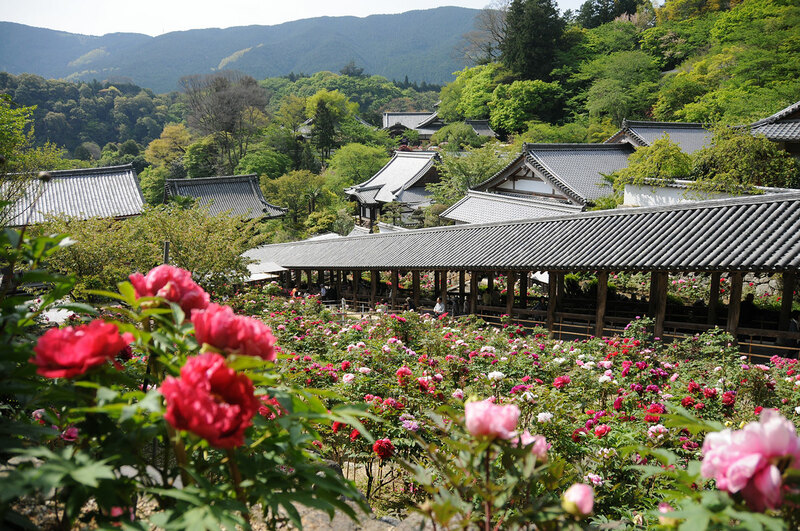 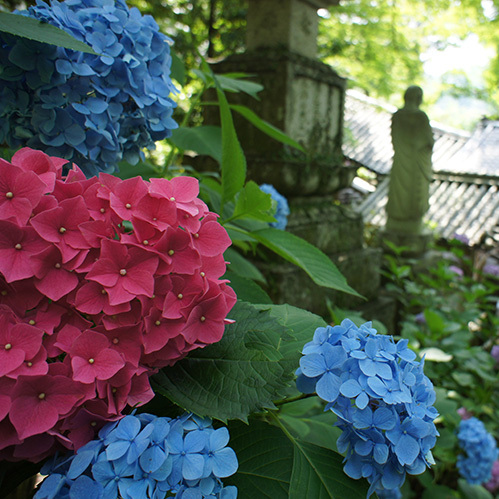 This pagoda is praised for its beauty and called the “excellent pagoda of the Showa Period”. 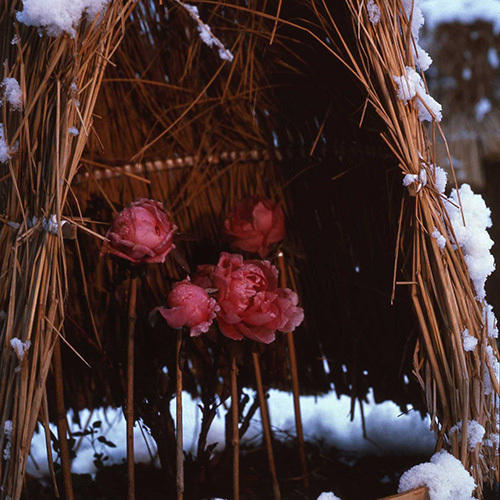 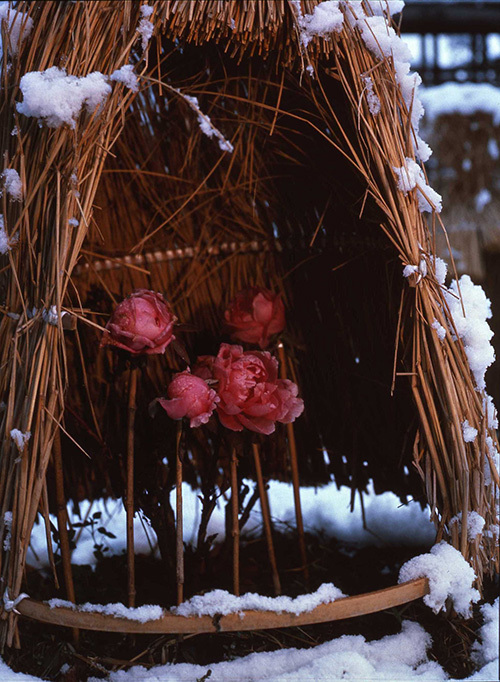 “Dadaoshi” or fire festival is a part of “Shunie” ceremony which is held from the 8th to the 14th of February every year. 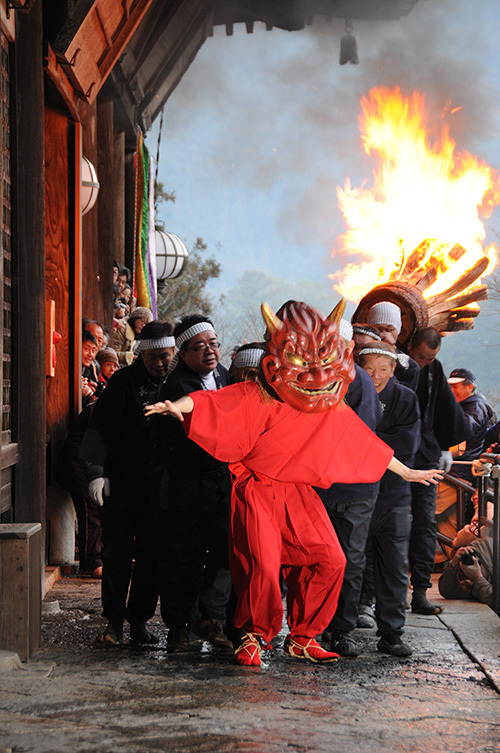 On the last day of the ceremony three giant Oni or Ogres with huge fire touches run in and out of the Main Hall. 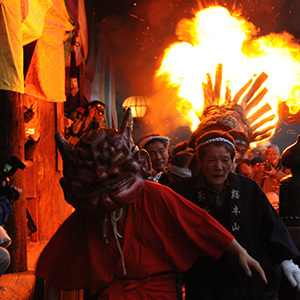 Visitors shout out loud in excitement when the 4m tall fire touches hit one another and the sparks shoot up into the air. 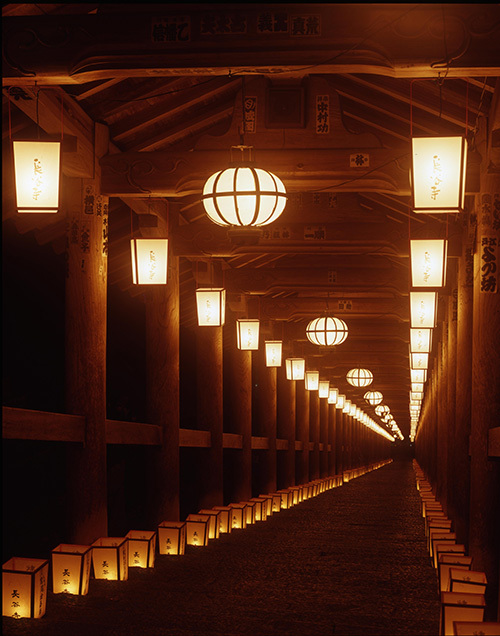 The fire festival grants prayers for prosperity and health. 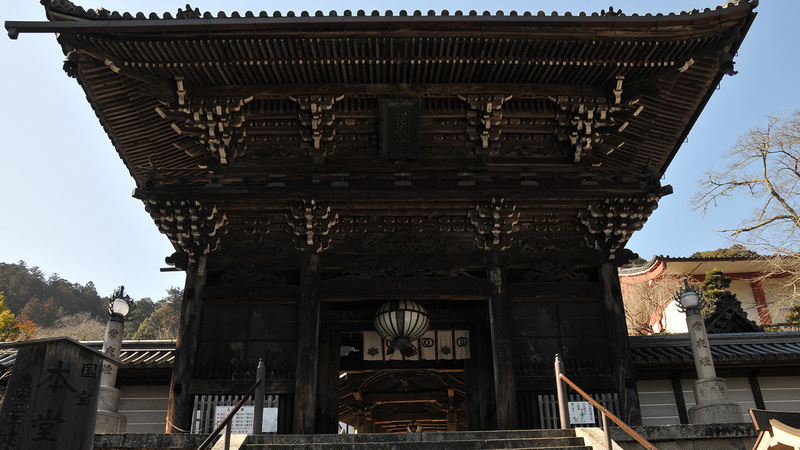 The main features are two “Niō guardian” statues on both sides of the gate. 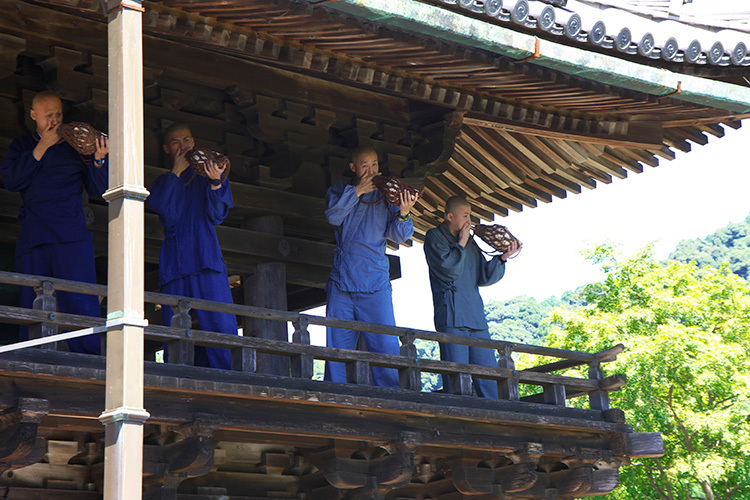 Niō guardians with fierce expressions and holding a tool of the Esoteric Buddhism in their hands protect the world of Buddhism. 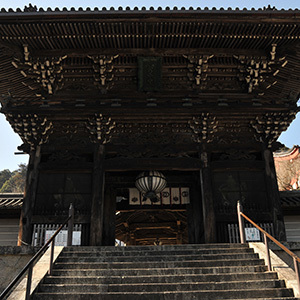 The present Niō Gate was rebuilt in 1894. 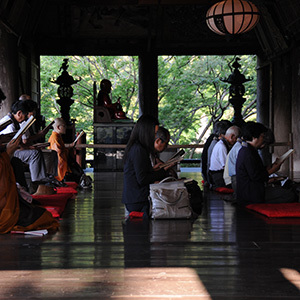 Japanese pilgrimage originated in Hase temple. 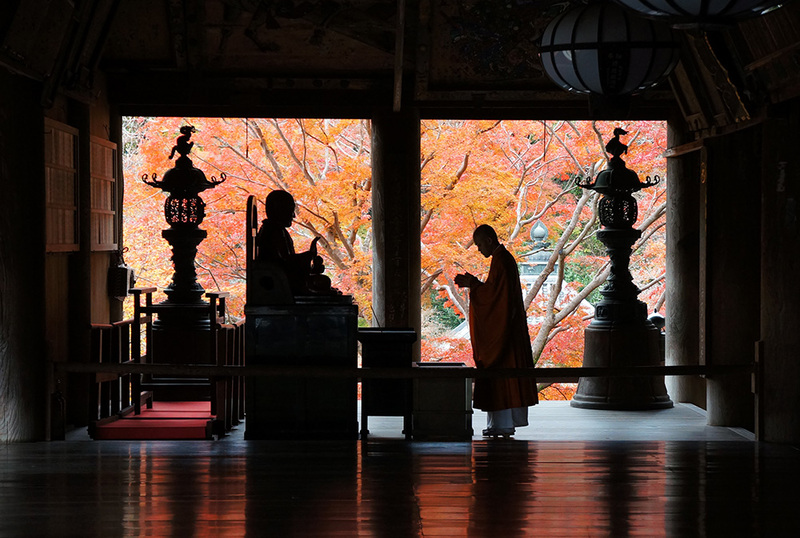 The founder of Hase temple, a priest Tokudō Shōnin (656-735), met Enmaō, or the Lord of Death in his dream while the priest was nearly dying due to a severe illness. 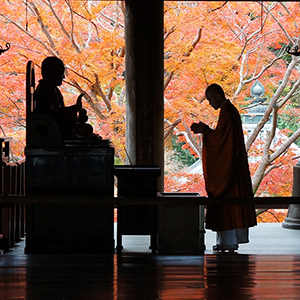 In his dream the Load of Death did not allow him to die and ordered him to set up the Kannon Pilgrimage to 33 Sites that became the first pilgrimage in Japan. 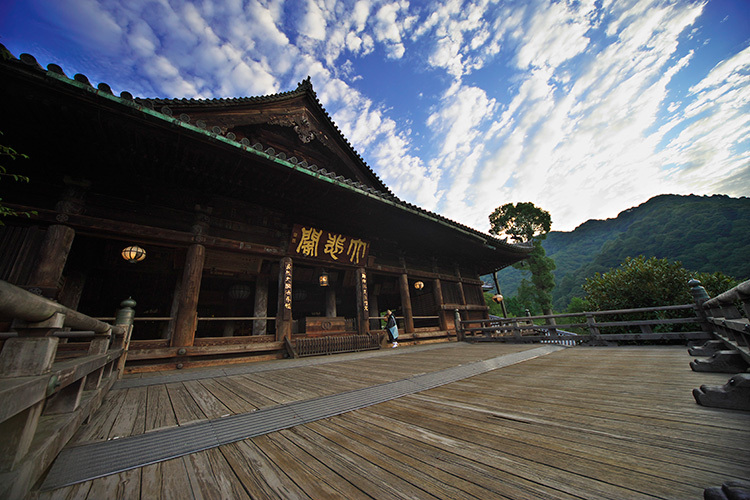 Since then many pilgrims have visited this temple and offered prayers to Kannon. 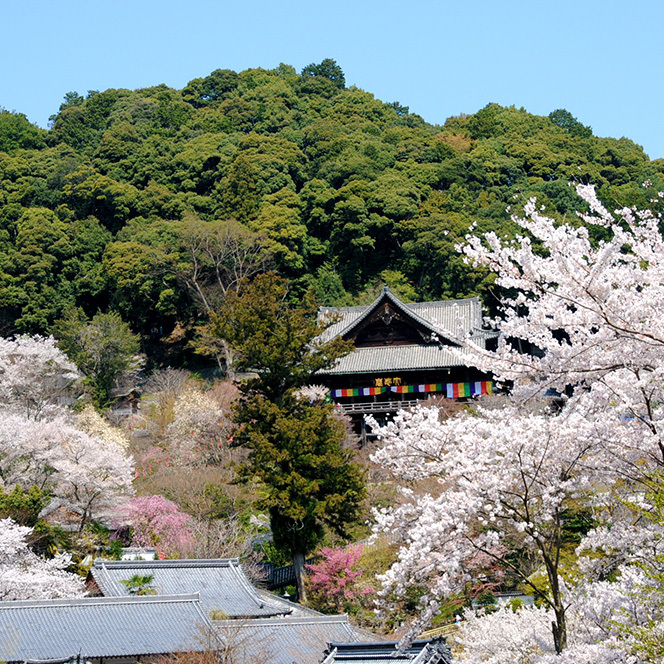 From Kintetsu Hase-dera station walk 15 min.